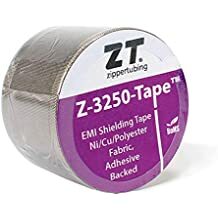 Prt Transition - Prt - Trade Names - ZT | Zippertubing Co.
Never again will remove or disassemble your connectors or end hardware to install. You will just protect them. PRT® (Transition) boots are wrap-around, heat shrink boots that provide a protective cover from a connector backshell to the primary wire bundle. These products also offer strain relief to your connectors to ensure they remain in proper working order. The heat shrink material is made from MIL-SPEC (M23053/5) polyolefin heat shrink tubing. The transitions are ideal for in-service electrical system modifications as they eliminate the need to remove or disassemble the associated connectors and hardware. They can also eliminate the need for expensive, specialty molded boots, and in some cases minimize the heavy-wall thickness that results when using high-expansion ratio tubing. Installation is easy: Simply use a hot air heat gun. The heat gun is used to recover the boots in the same manor as standard, non-split, heat shrink tubing or molded boots. Wrap-a-round transition boots are ideal for assemblies with non-removable electrical connectors. This material has an operational temperature range of -55° to 135°C. The product is offered in many different diameters, in 6” pieces. Custom solutions are also available that may also include additional EMI shielding. 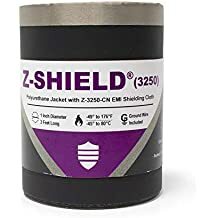 If you need to protect your connector backshells from the environment, try Zippertubing’s Z-Block®. The addition of Z-Block® to your installation is the best way to water-block your wires!